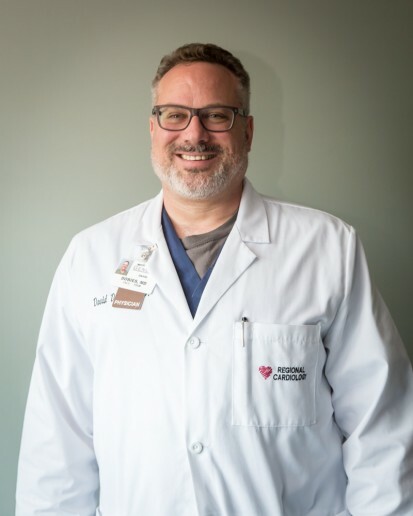 For many of us, the thought of undergoing surgery is terrifying – so, My City Wellness “scrubbed in” to get up close with a group of talented local physicians as they performed a variety of procedures. Our sincerest thanks to doctors Culver, Dobies, Lesneski, Margni, Palavali, and Waters for their gracious cooperation in creating this special section. METHOD/DESCRIPTION: This procedure selectively blocks the sympathetic nerves of the leg and is useful in diagnosing and treating pain caused by Complex Regional Pain Syndrome (also known as Reflex Sympathetic Dystrophy) of the lower extremity. This is a relatively unusual type of pain that can persist after trauma or surgical procedures. 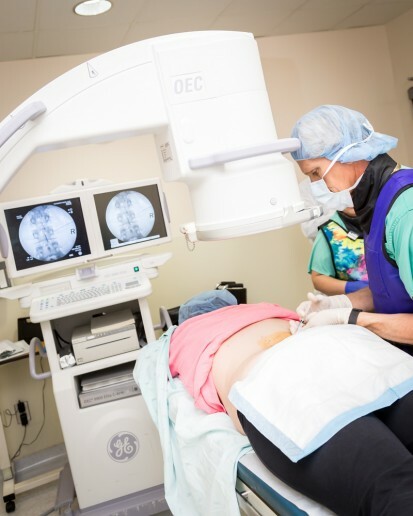 Lumbar Sympathetic Blocks performed under fluoroscopy ensures proper placement of the needle for each injection. The success rate is quite variable; when treatment is given early – within the first six months – the success rate is much higher. This is a relatively uncommon condition, as Dr. Culver sees about 20 cases per year. 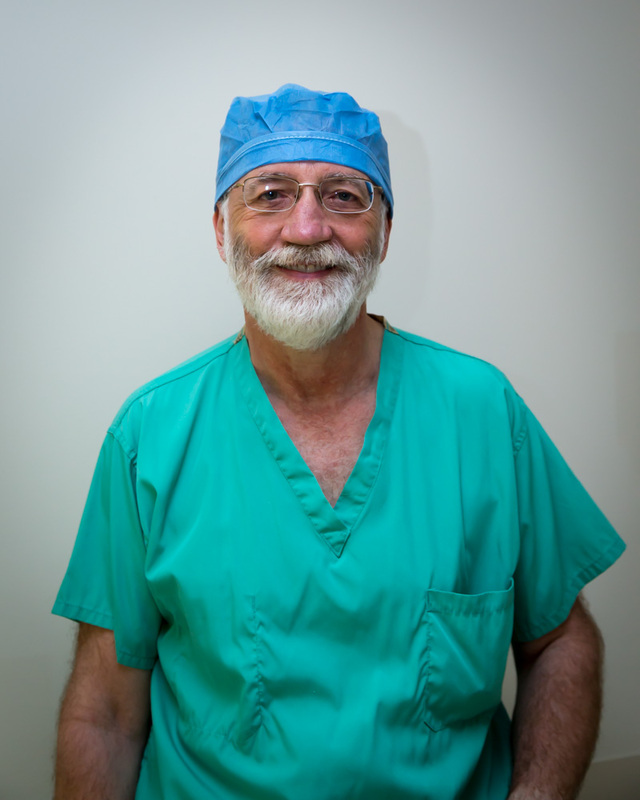 In the course of his 25-year career in pain management, he has performed this procedure more than 1,000 times. It must be done by an interventional pain management physician who has experience in diagnosing the condition, and who has been appropriately trained in performing such procedures. Dr. Culver would like those considering this procedure to know that it is uncomfortable, as it is a deep injection. Most patients are encouraged to have sedation for the procedure, and typically, a series of several such procedures is required. Dr. Culver also enjoys giving back to the community through charitable donations, primarily to faith-based organizations such as Forgotten Man Ministries. CREDENTIALS: Michigan State University College of Human Medicine, Doctor of Medicine Degree. Board Certified in Internal Medicine – 1996; Recertified 2006; Cardiovascular Disease – 1999; Recertified 2009; Interventional Cardiology – 2002: Recertified 2012. A member of The European Society of Cardiology, Dr. Dobies will present his expertise on “Bypass versus PCI” in Italy this August. 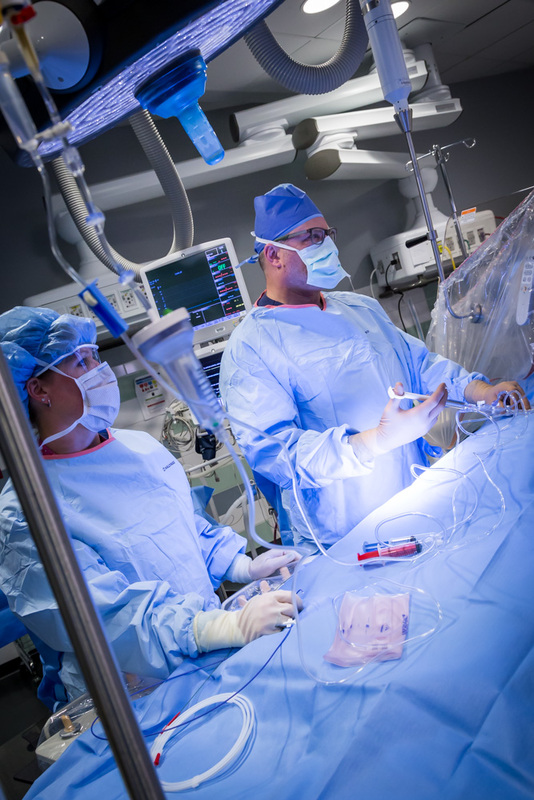 PCI replaces the need for heart bypass, which can be very hard on the body. Candidates for this surgery have symptoms of chest pain, shortness of breath, and general heart failure. With a 98-99% success rate, the most significant benefit of PCI is that it is a long-term treatment that is less invasive than surgery. On average, this procedure takes Dr. Dobies about 45 minutes to perform, and complete recovery takes only a few weeks. Patients can typically go home after a 23-hour hospital stay, with prescriptions for aspirin and cholesterol medication. On average, a patient can return to work two days post-op. 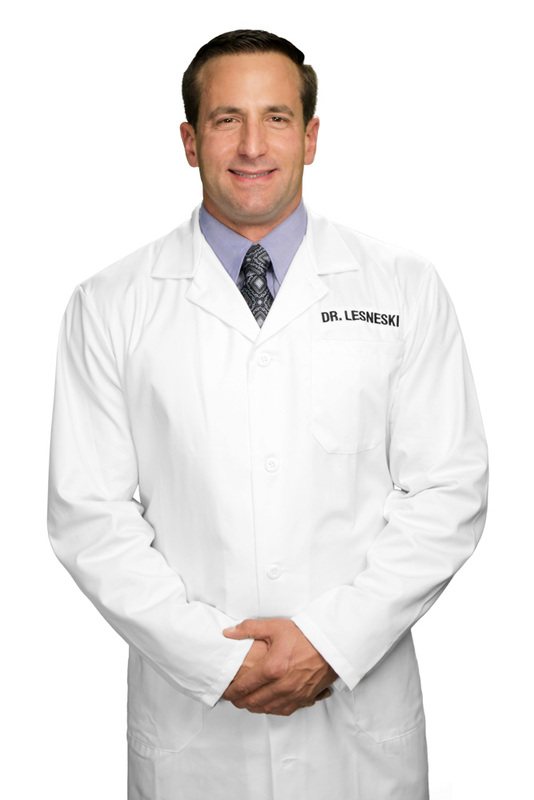 CREDENTIALS: Dr. Lesneski attended dental school at the University of Detroit Mercy, completed his anesthesia residency at Temple University, and completed his surgical residency at Gundersen Lutheran Medical Center. METHOD/DESCRIPTION: When patients elect to have dental implants due to failing teeth, they normally need extractions and bone grafting, and then need to heal for 4-6 months. Then, the implants are placed and must heal for an additional four months. 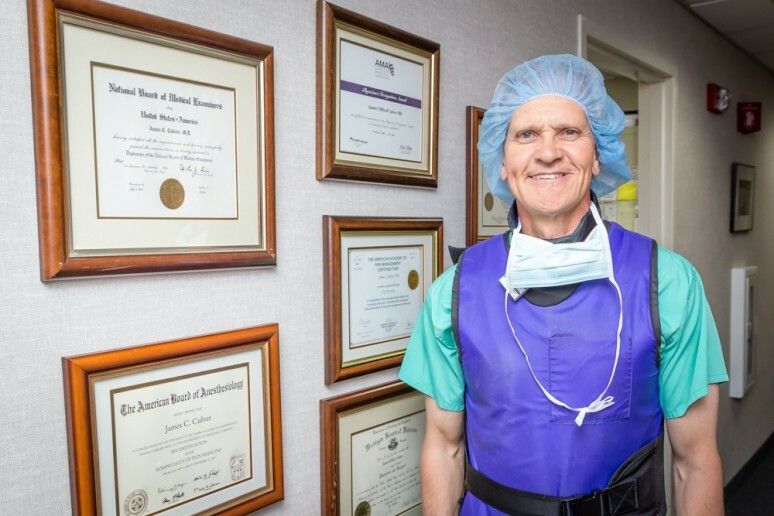 Dr. Lesneski’s surgery allows removal of all teeth, placement of dental implants, complete bone grafting if necessary, and patients have new teeth the same day – never having to be seen without teeth. At their offices in Flint and Saginaw, the practice offers Cone Beam CT technology, which is essentially a CT scan, but uses minimal radiation. It allows them to view a 3-D reconstruction of the patient’s mouth, so they can see exactly where important anatomical structures are located, as well as where to place the implants. Having performed this surgery hundreds of times and placing thousands of dental implants, Dr. Lesneski has a 100% success rate. The surgery lasts about two hours, and patients can generally return to work within a few days. Patients should be aware that they will be able to choose how they want their teeth to look, as well as eat the foods that they enjoy. Dr. Lesneski and his partner, Dr. Michael Frey, give free treatment to those less fortunate. 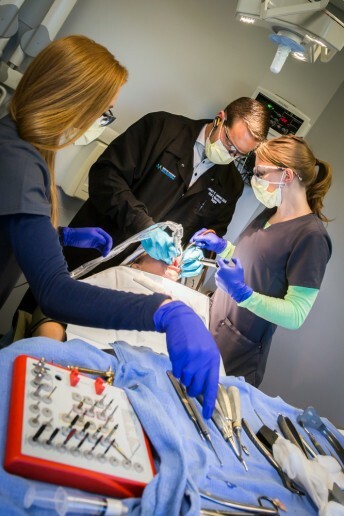 They recently started the “Second Chance” program, in which once a year, a deserving community member receives a full arch dental implant restoration procedure free of charge. In addition to their philanthropy, the duo visits community schools to give children the opportunity to learn and ask questions about oral surgery. METHOD/DESCRIPTION: Peripheral Arterial Disease is a chronic disease in which plaque builds up in the arteries. If allowed to progress, blood flow in that artery can become limited or completely blocked. PAD is relatively common, affecting more than 10 million people in the U.S. It is more common in people 65 or older, but can occur at nearly any age. 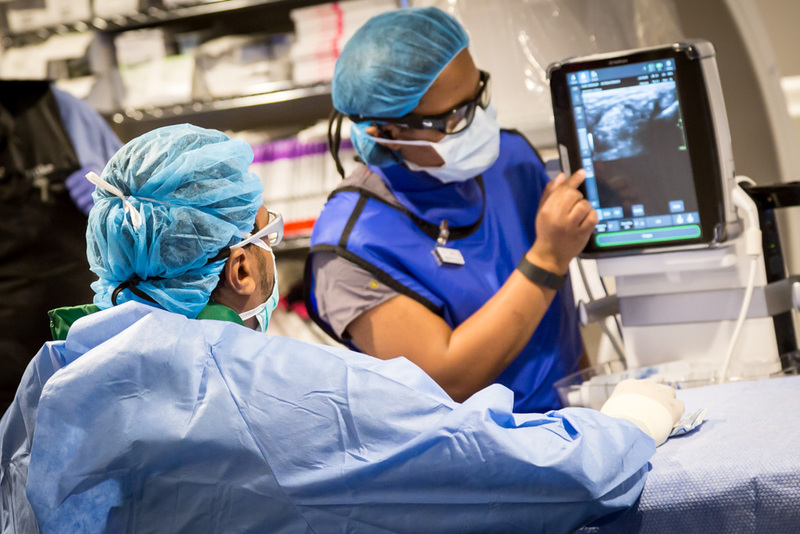 An angiogram is an X-ray procedure that can be both diagnostic and therapeutic. It detects blockage using X-rays taken while injecting a contrast agent (iodine dye) into the artery. Angiograms are typically performed under sedation, and the procedure may last 15-20 minutes or up to several hours. 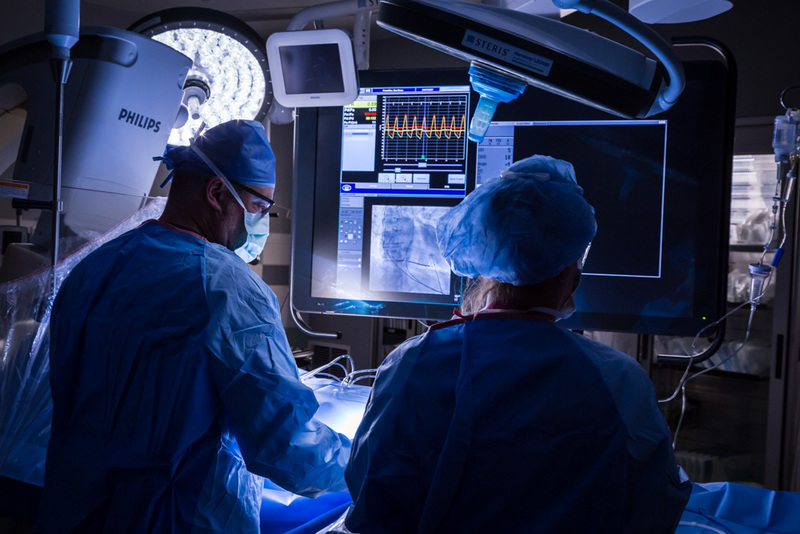 Angiograms are a minimally invasive, outpatient procedure and can provide immediate relief. Dr. Margni uses a technology called IVUS, which allows him to guide a miniature sound probe (transducer) through the arteries, and produce detailed images of the interior walls of the arteries in order to evaluate the amount of disease present; accurately determine the need for further treatment; assess the need for aggressive management of risk factors; and determine the predictors of transplant coronary artery disease. Dr. Margni and The Vascular Institute of Michigan are leaders in “pedal access.” Traditionally, the artery access site is the groin; but pedal access is used when an artery is blocked all the way down to the foot. This is a safer process than going in from the groin, and with less recovery time post-procedure. Having completed this procedure thousands of times, Dr. Margni’s success rate is extremely high. Although, every procedure always has risk of complications at the access site: bruising (ecchymosis), pain and bleeding (hematoma), blockage or leakage – all of which are rare. After the procedure, a patient should expect one to three hours of bed rest to avoid bleeding at the artery access site. 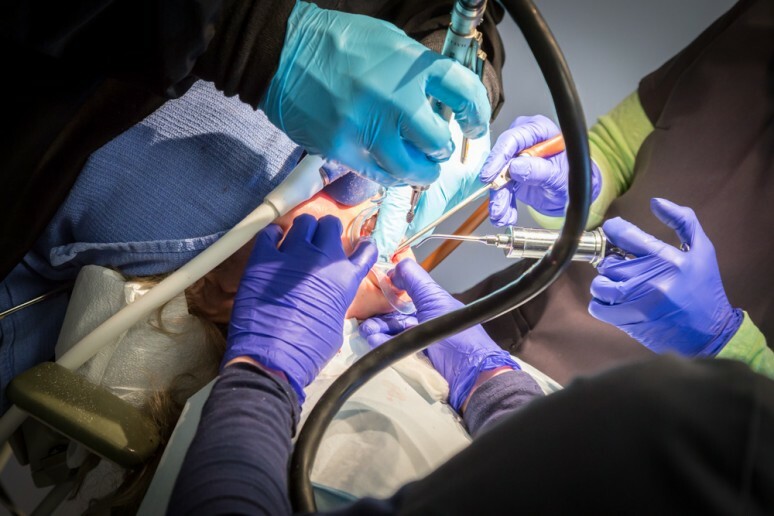 Because sedation is often utilized, patients will likely not be able to drive home. Once home, they should avoid heavy lifting, stooping or bending for two days to reduce the risk of bleeding at the arterial puncture site. Most other activities can be resumed. Dr. Margni and The Vascular Institute of Michigan offer free PAD screening. As leaders in limb salvage and preservation, they pride themselves in treating each patient with dignity, respect, and an individualized patient care experience. 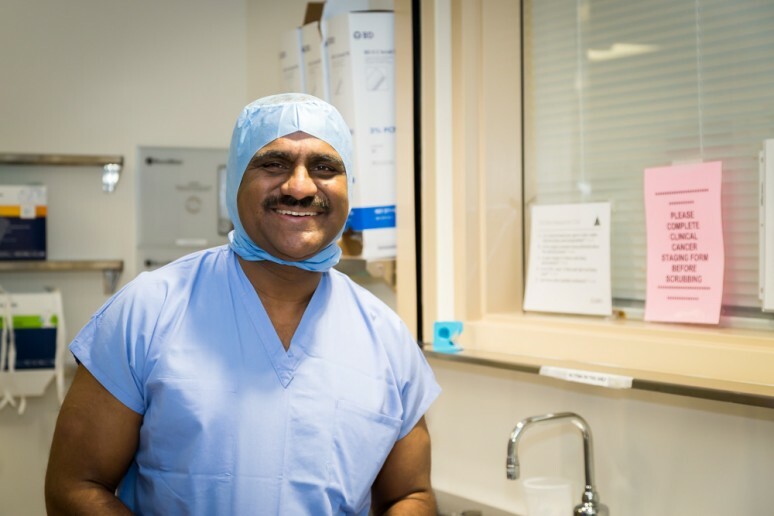 CREDENTIALS: Dr. Palavali completed medical school in India, and then began his research in Neurosciences at Washington School of Medicine at St. Louis for 18 months. He completed his residency training in Neurological Surgery at University of Chicago Hospital, receiving gold medals for standing first in class in pre-med, as well as in his final year of medical school. He also received the Best Resident Teacher Award as the Chief Resident of Neurological Surgery at the University of Chicago Hospital. 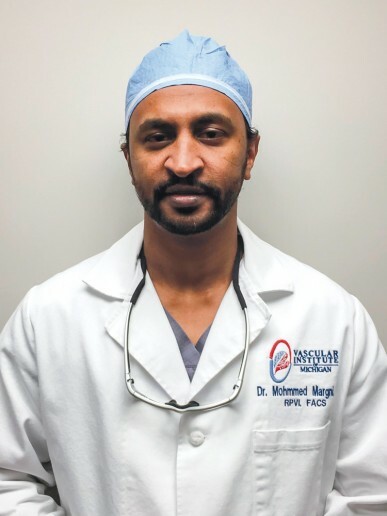 He has been practicing neurosurgery in Flint for 20 years. This procedure is done to treat severe low-back and/or leg pain present for more than six months that has failed conservative treatment. 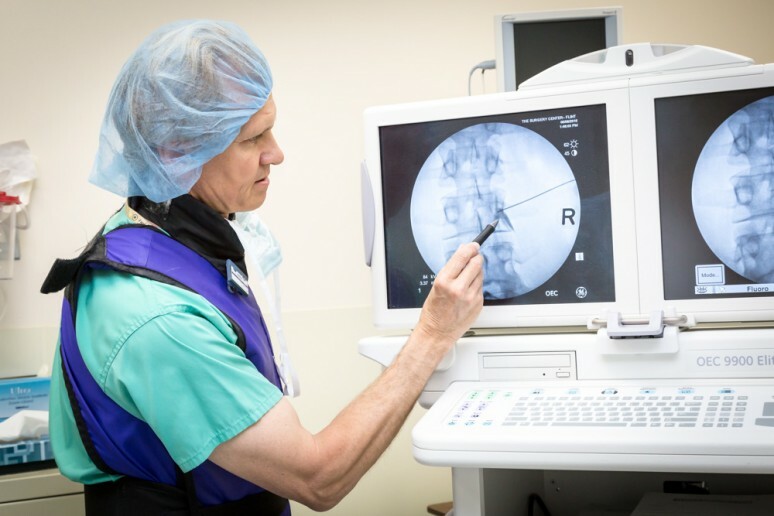 The surgery includes work done on the last two discs in the lumbar, the lower back, or the spine, and is done to fix the problem of discs (cartilage between vertebral bones in spine) degenerating, or the vertebrae slipping – which causes back and leg pain. 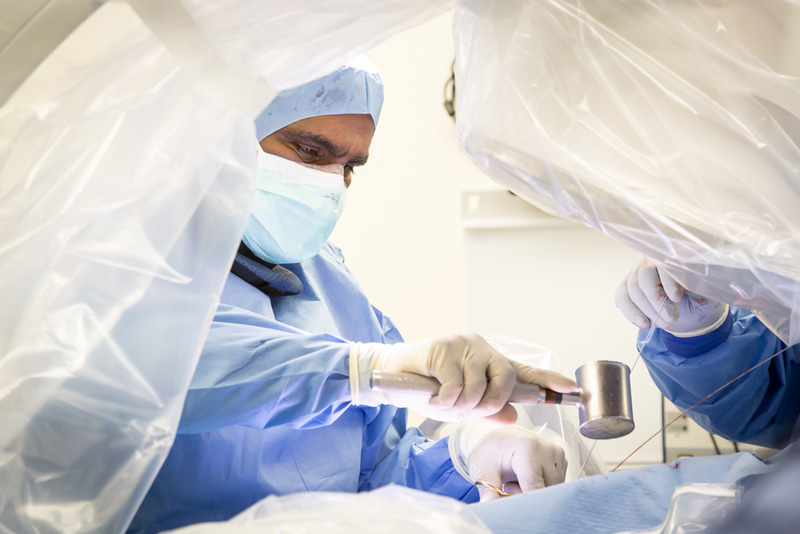 Significant benefits of this surgery are less dissection, less blood loss, less post-operative pain, shorter surgical duration, and faster recovery. 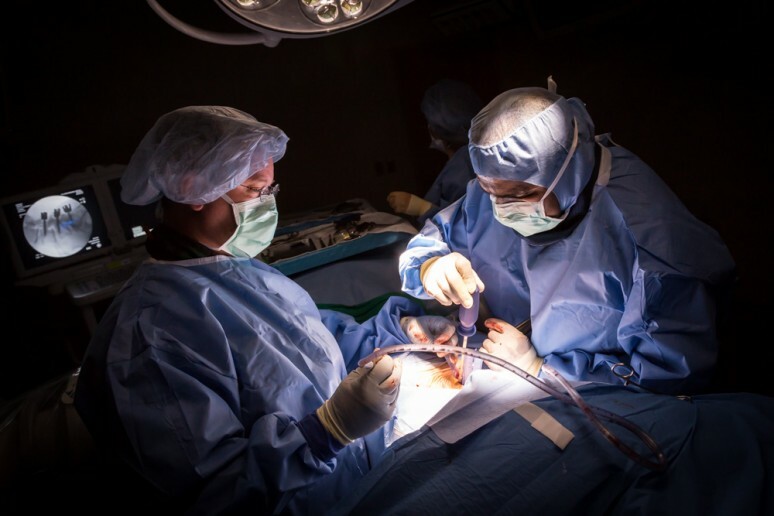 Patients are able to walk on the evening or the next morning after surgery, and are usually in the hospital for a day or two as opposed to four to seven days, which was standard in the past. 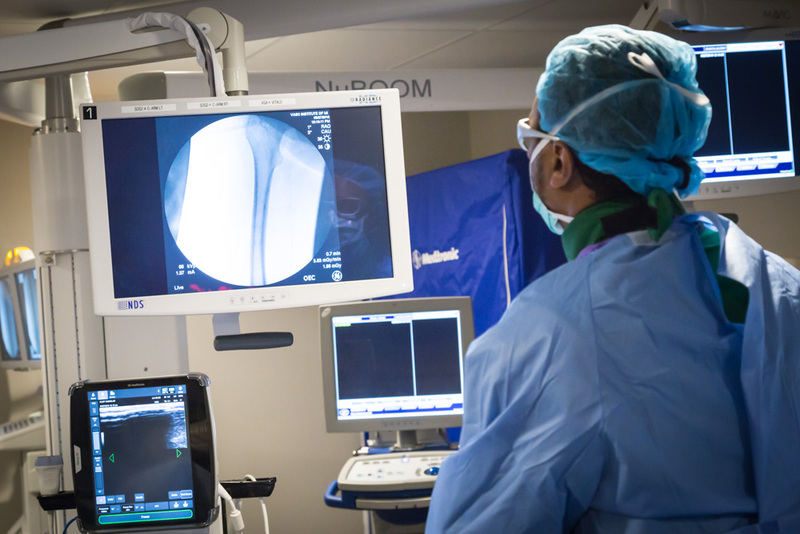 The spinal instrumentation and X-ray machines make surgery easier compared to conventional open surgeries. In properly selected patients, the leg pain is gone or better 85% of the time and the back pain is gone or better 70-80% of the time. Dr. Palavali has performed around 500 surgeries in the past five years, which is when this procedure gained popularity. Patients should expect the usual risks of surgery: bleeding, infection, nerve irritation, loosening of the screws or rods, or adjacent level degeneration that may require additional surgery. There is usual post-op pain that is controlled with narcotics for a few days. Patients usually need to wear a removable lumbar brace for 12 weeks when they are walking, driving, or riding in a car. Bending and lifting will be restricted for 12 weeks, after which they may need physical therapy to recondition the back muscles. Patients may be able to return to jobs that require heavy physical work after they complete therapy. Dr. Palavali enjoys giving back to the community by caring for patients at Genesee Free Clinic. He also enjoys educating the public in an entertaining fashion through the documentary films that he produces and books he has written. CREDENTIALS: Owner of Complete Eye Care, Dr. Waters is a Board-Certified Ophthalmologist with over 25 years’ experience in LASIK, cataract surgery, glaucoma and diabetic eye care. Practicing in Flint since 1988, he is a nationally recognized leader in Crystalens cataract surgery, and Complete Eye Care has been named a “Center of Excellence” for this procedure. FACILITY: Cataract surgery is done at an outpatient facility, such as The Surgery Center in Flint. As the eye ages, the lens hardens, becoming cloudy and impairing vision. The word “cataract” also means “waterfall,” signifying that when the lens is cloudy, it’s like looking through a waterfall. Cataracts affect color vision, making things look dull. They also dramatically increase the risk of falling, since it is difficult to navigate stairs, steps and curbs with cloudy vision. Other symptoms to look for are: cloudy, blurry vision, faded or yellowed colors, sensitivity to light and glare, halos around lights and/or starbursts, need for brighter lights for reading and other activities, increased difficulty driving at night, and vision no longer improved by vision. Dr. Waters’ cataract surgery involves topical anesthesia – using drops to numb the eye – making the procedure virtually painless. No-stitch, small incision is another strategy; Dr. Waters makes a tiny, 3mm incision that self-seals and needs no stitches. 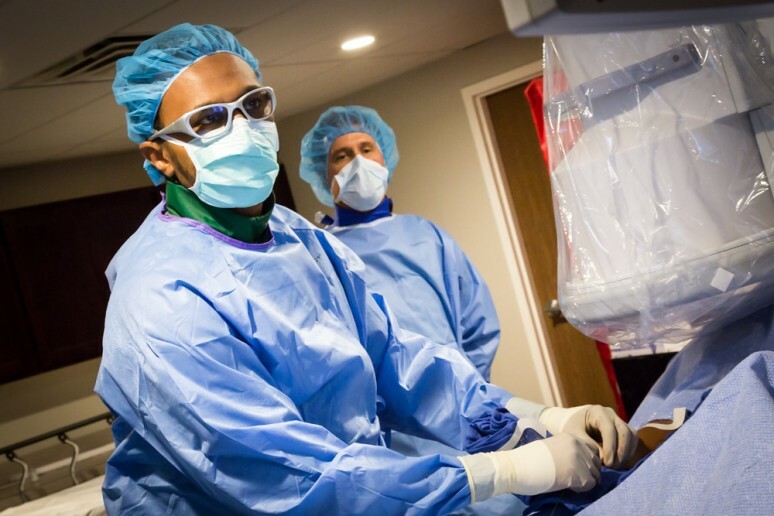 Because this method is minimally invasive, patients can experience improved vision almost immediately after surgery. Once the cataract is removed, Dr. Waters places a lens implant into the eye capsule, where the lens is located. The lens expands to fill the capsule and is designed to remain in place for the patient’s lifetime. With modern cataract surgery, people have options for their lens implants, much like they have options for glasses and contacts. In the past, the only option was a standard lens implant that mostly corrected distance vision, but left a need for reading glasses. Today, Dr. Waters offers a wide range of lens implants including a focusing lens implant called the Crystalens. This lens gives people the advantage of a wider range of vision compared to standard lens implants. Because this type is able to focus like the natural lens of the eye, patients enjoy good functional vision for driving, using a computer and reading. Significantly more patients implanted with a Crystalens (88%) could see better at all distances than those who received a standard IOL (36%). (Source: Bausch & Lomb Surgical). 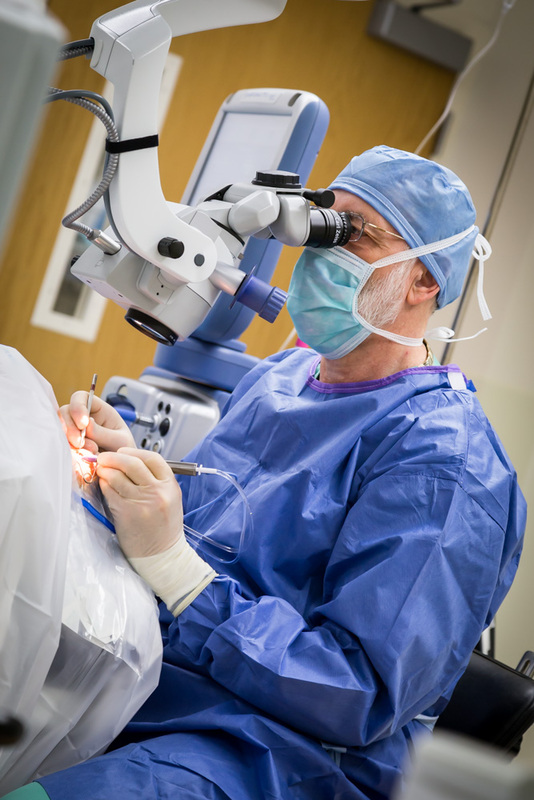 Cataract surgery is done in an outpatient facility, and Dr. Waters’ procedure only takes about 15 minutes. Recovery time is minimal, as patients resume normal activities within a day or two.